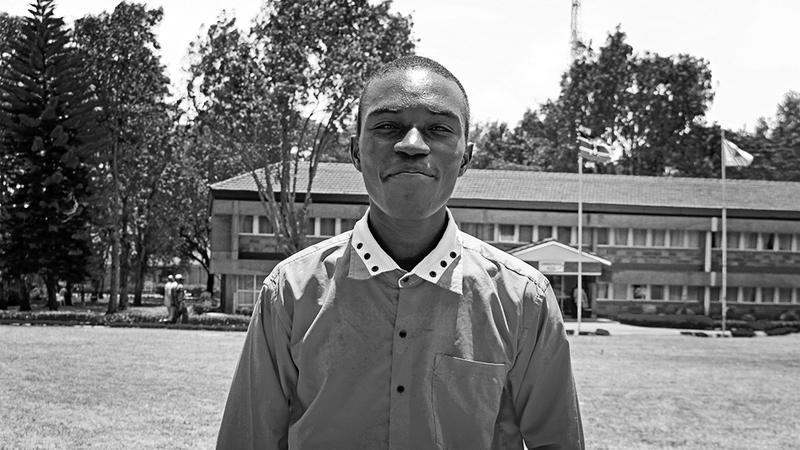 For young people in challenging circumstances, education is often described as a way out. The Wezesha Education Foundation (Wezesha) sees education as a sustainable way forward – for the students it supports, for their families and for their communities. Established in 2013, Wezesha is located in the Nakuru Region of Kenya, about 120 miles northwest of Nairobi, Kenya’s capital city. Its mission is to provide economically disadvantaged young people – identified as having high academic potential – with the financial support they need to finish high school and attend university. Wezesha grew out of the Nyota home, which provides a safe, supportive place to live for children who have been orphaned or are otherwise at risk. Nyota continues to meet a pressing and ongoing need. Wezesha, which is helping to educate tomorrow’s teachers, business people and professionals who are committed to using their skills and knowledge to aid their communities, seeks to build a better future for all Kenyans. For several years, The Works has donated its services to support fundraising and other charitable activities on behalf of Nyota and Wezesha. We were inspired by Lynda’s effort and commitment, and we shared an interest in helping to contribute to a more equitable and sustainable world. What is the Wezesha Education Foundation and how did you get involved with it? Wezesha, which means “empower” in Swahili, focuses on identifying and supporting very bright, high academic achievers through high school and university. These kids come from economically disadvantaged families, which puts them at high risk of not being able to complete their education. It was founded in 2013. I was one of the co-founders along with Speroway, a registered Canadian charity, and my very good friend, Peter Thairu, a long-time Kenyan educator, and the education director at Wezesha. We recognized that there was a huge opportunity to make an impact by helping high potential youth get through school and ultimately use their talents to help their families, communities and country. What services does Wezesha deliver, and is there anything unique about its approach? Before talking about the supports Wezesha provides, I have to say that we started by determining – after looking at all the needs that exist – just where we could have the most impact. Wezesha picks kids with very high academic potential and leadership capabilities. They also have a very strong interest in getting back to their communities, staying there and reinvesting their skills to help their families and their communities. We want to help Kenya build capacity, not finance or contribute to a “brain drain.” Wezesha is not just a charitable model – it’s more of a leadership model. You’ve mentioned families several times now. How big a role do they play in the Wezesha model? Engaging the whole family in the educational process is a real differentiator for Wezesha. Kenyans helped found the organization – and are the primary directors – and they recognized that education and success in education really must be rooted in the larger social and cultural context that young people live in. We make a very concerted effort to engage the families in supporting their children. Every family contributes something financially to the education of their child. That investment is very powerful. It helps make what Wezesha does into a partnership. Too often, charities go in and just throw money at a problem – and that can create false expectations around who is responsible. You need to be very careful not to do that. 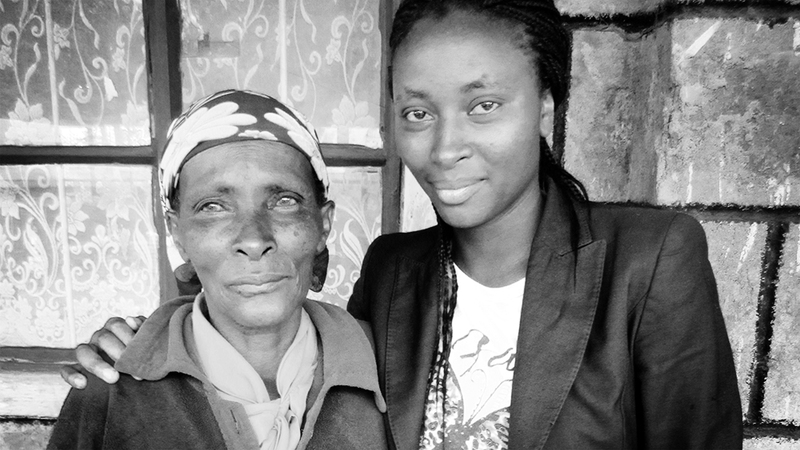 Margaret Wambui Kariuki poses with her widowed mother, who has worked for ten years as a labourer to feed nine children. But school fees are far beyond her reach. 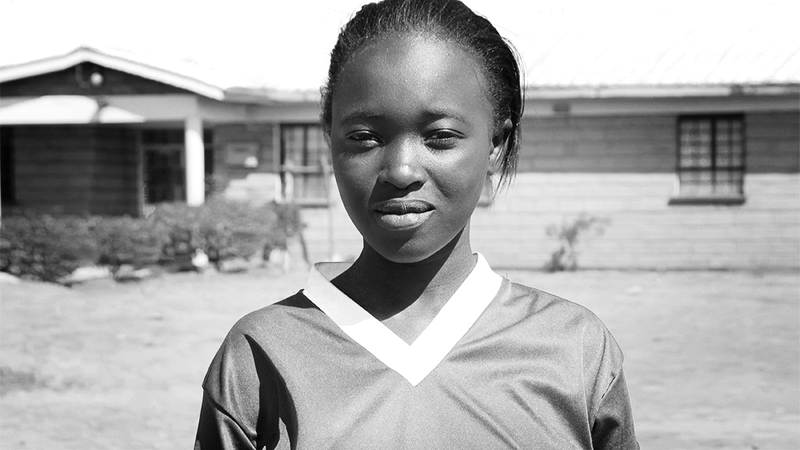 Margaret is the first girl in her village to go to university. She studies in Nairobi and works evenings in a hotel, but cannot make enough money to cover the cost of university, supplies and board. Through Wezesha, she will continue her education and graduate next year. We also bring all of our students and their families together three or four times a year, for a day where the families get to meet each other. Our parents and guardians also have their own separate group that meets independently – members talk about what they aspire to do to help their children, and how they can help support each other. They also get to hear the young people make presentations, which are typically focused on social issues that are of concern to the group. And they get together for a meal! You will always find cultural elements around that –singing and indigenous food preparation and so on. We try to make it a very holistic experience, which I think really nourishes a strong cultural ethos: that these kids grow up immersed in the importance of family and responsibility toward each other. You’ve talked about the required commitment from the families. What kind of commitments do the students have to make? We have an expectation that Wezesha students are going to maintain a minimum B average, and Kenya has a very high standard, which means that a B is probably the equivalent of an A-minus average in other jurisdictions. So, kids have to maintain that B average and if they drop below that for more than two terms, they are out of the program. That’s not a decision we make lightly, but, for the integrity of the program, we can’t carry young people through with substandard grades. We also have mandatory volunteering. Our students must volunteer in community organizations, which range from hospitals to libraries to other non-profit organizations, such as medical clinics. Volunteering teaches our students about needs in their communities, but it also has the benefit of expanding their network of contacts and making them aware of possible long-term career opportunities. So, those expectations are pretty high. Are they delivering results? You and I were just speaking about the high standards we expect of our students. This is where those expectations pay off. We have a 90% success rate, which means that 90% of the kids who start with the program go on to complete high school and pursue further education at the university or college level. Wezesha started in 2013 with 13 students, and today we support 100 students at various stages in their education. We’ll soon be graduating our first doctor, and we have several students pursuing degrees in engineering. We have students who have gone on to become teachers, and also students who have gone into business, agriculture, and hospitality and tourism. Each in their own way is contributing to building capacity in their communities and to making Kenya’s economy more robust and vibrant. What does the future hold for Wezesha? Are you looking to expand the program? We’ve grown a lot over the last six years and don’t have any current plans to expand beyond 100 students. We want to ensure that we’re providing these 100 students with a full suite of services and support. We’ve helped them maintain high academic levels and achieve their educational goals. We need to do a bit more in terms of helping our graduating students build networks, which lead to good jobs. Establishing more connections with the community, particularly the business community, helps our kids find co-op placements and then transition into meaningful employment. That is key to making our program truly sustainable. We are also trying to diversify our funding, to derive more of our funding from local sources. That’s something Peter Thairu is very aware of and is working toward. That said, if anyone reading this would like to make a donation or learn more about how they could contribute, then we’d be delighted to hear from them at ken.forbes@speroway.com. I can tell you this: there is a joy that comes from helping these young people, seeing them achieve their dreams and seeing them make an impact on society! Thanks to Lynda Kuhn for this wonderful interview. Visit Speroway to learn more. Eric Johnson is the Director of Strategic Communications at The Works. 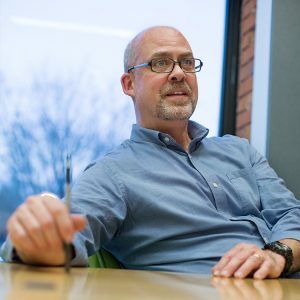 He is an award-winning strategist and writer with decades of experience in advertising, marketing and corporate communications. He also knows a lot about vintage horror flicks and every single Godzilla film ever made.